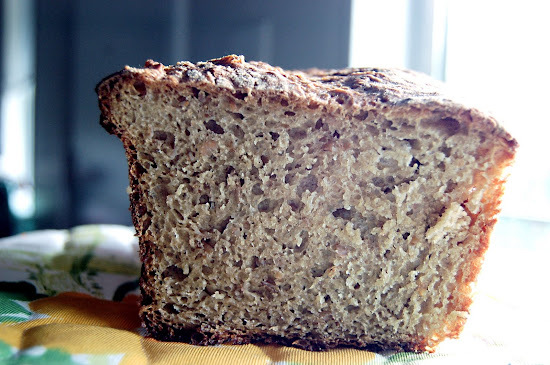 Everyday Whole Wheat Bread by Eating Well. Recipe here. 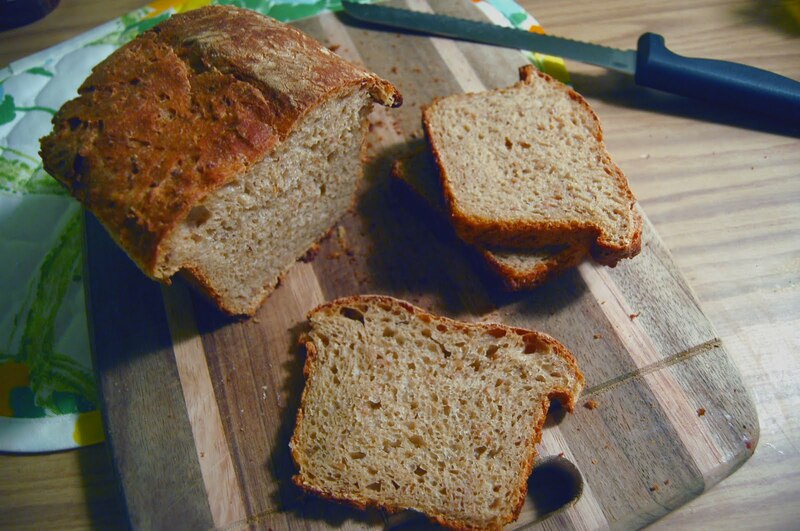 This is such a good bread for toast or sandwiches. After the bread cooled (and we sampled), I sliced it, put it in a bag, and stuck in the freezer. In the morning I pull out the slices I need to pack lunches. The slices defrost pretty quickly and the bread tastes the same as it did the day it was made. This bread is no-knead! I used white wheat flour because I was out of whole wheat. I've made it once with the whole wheat flour and it's very good too. Thanks Amy for sharing this recipe with me! I bought the book and you should take it home for a few weeks/months!